Hillside Brasserie, Queenstown, Otago. Information, Photos and Reviews. The shared lobby area of the Scenic Suites Queenstown and Heartland Hotel is also home to The Hillside Brasserie and The Lobby Bar. These are perfect places to unwind after a long-day of sight-seeing, adventure or being on the slopes. The Hillside Brasserie is open for buffet breakfast from 6am until 9.30am Monday to Friday and 6am until 10am during the weekend. It is open for a la carte dinner from 6pm until 9pm every day. Nobody has reviewed Hillside Brasserie yet, Be the first. You are submitting a booking enquiry. 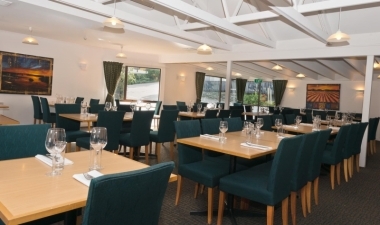 Hillside Brasserie will then contact you by email with details of availability and prices.